is a historian at the Austrian Academy of Sciences and lecturer at the University of Vienna. He is co-leader of the research project “Continuity and Transformation. The Austrian Academy of Sciences in the 20th Century”. is a science editor for the newspaper („Der Standard“) and author of numerous publications on the Austrian history of science. is a historian and archivist at the Austrian Academy of Sciences. is a historian at the Austrian Academy of Sciences and lecturer at the University of Graz. She is co-leader of the research project “Continuity and Transformation. The Austrian Academy of Sciences in the 20th Century”. 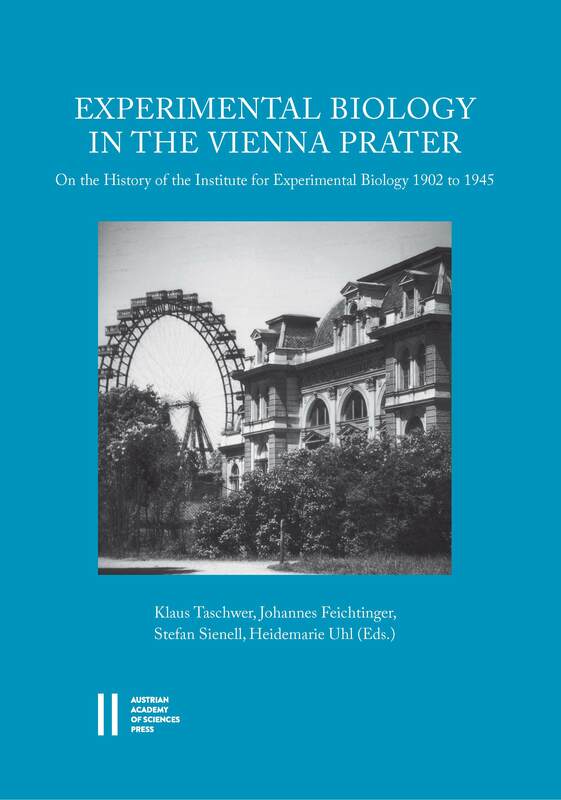 The Institute for Experimental Biology (Biologische Versuchsanstalt, or BVA) in the Vienna Prater was one of the world’s leading research institutes for experimental biology until the Anschluss of Austria in 1938. The Austrian Academy of Sciences, which was given the BVA in 1914, organised several events in 2014 and 2015 to commemorate Austria’s first privately founded research institute and its groundbreaking findings. This catalogue documents the turbulent history of this unique institute and its retrieval to collective memory.